Three gigs in the month concluded a very enjoyable year for the band. 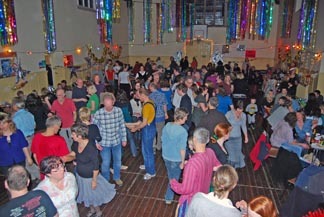 The first was a Christmas Ceilidh for Kendal organised by Crook Morris, aiming to replace the annual Christmas ceilidhs that used to be held at the Brewery. It ended up being a sell out event of over 150 people, and was a fantastic evening, probably our best of the year. As well as Tumbling Tom, the night featured two dance displays by Crook Morris, and two singing spots of traditional Christmas songs. The band, Tumbling Tom, with callers Fiona Rigg and Les Ord, were excellent and had totally taken on board the theme for the night. They kicked off by singing a carol that gradually and smoothly transferred into a polka for people to spontaneously leap up and dance to. They also arranged five sets of Christmas tunes, one for each of the five dance sections. 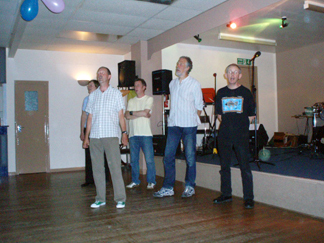 The band have been booked again for a repeat event in December 2009, so make sure you buy your tickets early! That dance was closely followed by one at the Threkeld Field Centre. The occasion was the annual Christmas get-together for the staff nationally of the Field Studies Council. A fancy dress theme of characters beginning with a 'b' added to the great atmosphere, and thanks go to Tim Wilson and his team for a brilliant evening. A marquee full of boxes, beggers, brides, butchers, bakers, and burglars. Even a border morris man. The month and the year drew to a close with a wedding at the Old England Hotel in Bowness, where we had with us our favourite caller Martyn Harvey. 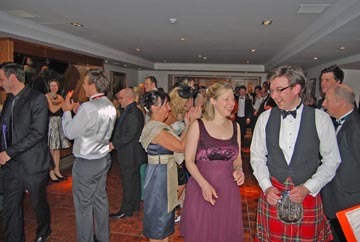 Both sides of the Tweed were represented at the wedding, and Martyn responded with both English and Scottish dances. He even produced one featuring both sides of the American Civil War! The first gig of the months saw us returning to our favourite hotel, the Netherwood in Grange-over-Sands, where we have a great relationship with Mike Fallowfield and his excellent team. The occasion was a very enjoyable wedding. We followed this with a return visit to the Briery Wood Hotel near Ambleside, and the group that we played for last year - Adventure Peaks - who are a company that organise an extensive list of Expeditions & Courses for walkers and climbers. The occasion was their annual customer weekend get together, and a great time it was. Thanks to Helen for inviting us again. The start of the month saw us returning to Brathay Hall at the head of Lake Windermere for our third visit of the year. This time it was to play for Bernard Williamson and his friends in a Veteran Car Club. A great display of dancing inside the hall matched the wonderful display of vehicles outside. A pity about the wet weekend that they had chosen. This was followed by a charity fund raiser at Bolton-le-Sands organised by May Lloyd and her team. A well supported event that happened to coincide with National Ceilidh day, so the band managed to raise over £50 apart from our own donation of £50. Thanks to all who contributed to this very enjoyable event. Following our various holidays, the band returned to two gigs in two days. Iain shared his 40th birthday with his family and friends at Greenodd Village Hall, and the ceilidh went down a storm. The following night, we traveled with Martyn Harvey, our caller for the night, up to Elterwater in the heart of Langdale. The wedding of Anna and Craig was a union of England and Scotland, so the ceilidh was a great affair with a real mixture of dances from both sides of the border. 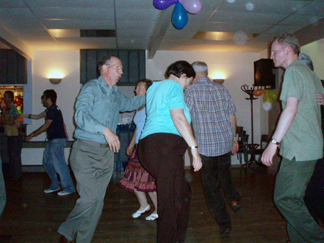 A return visit to Brathy Hall started off June with another ceilidh for CRAC - see May. Lovely weather outside and great dancing inside made for a memorable evening. The first of three gigs in June was a ceilidh in Kendal for the LibDems. The local MP Tim Farron was in attendance, and it was great to see lots of younger people throwing themselves into the dance. A song spot rounded off the evening. A return visit to The Coot in Urswick near Ulverston followed this for a teachers retirement evening. We managed to cope with the sound limiter all right, but people booking this venue need to be aware that live music should cease at 23.00 to avoid sound disturbance to locals, and they should discuss this issue with the excellent manager at The Coot. We rounded off the first half of the year by playing at the Saturday evening ceilidh at the Furness Tradition Festival in the Ulverston Coronation Hall. 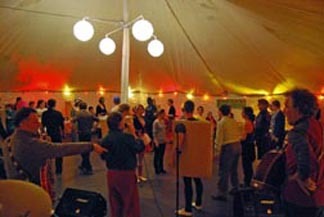 A great place to play and dance, we shared the evening with some of the Festival artists. A memorable evening in many ways! We now take a well earned break until the end of August. Steve will be visiting WOMAD and hoping to avoid the mud of last year. Les will travel to Solfest, and Tony will be involved in organising the Lake District Summer Music Festival. Fiona will travel down south to the Sidmouth Festival and north east to the Whitby festival: lots of session playing there then! Hugh will be lucky to hear any music whilst trekking in the Indian Himalaya with Angie. 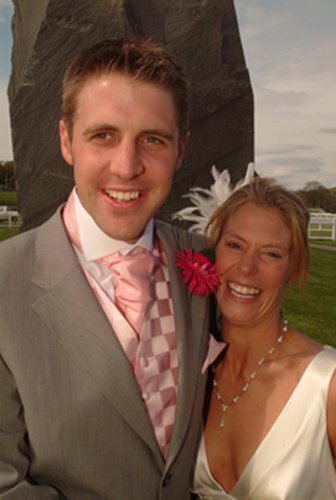 May started off with a wedding in a new venue for us, Cartmel Racecourse. The function room looks newly refurbished and is situated to the rear of the grandstand on the first floor. The beautiful evening meant that Kirsty and Matt with their friends and family could take the evening air and look at the view in between dances. An excellent evening in a good venue. This was followed by a corporate event at Brathay Hall near Ambleside. CRAC are a company that specialise in creating innovative career development programmes (they say) and this event was part of a week long session for post doctoral students. Tumbling Tom had Joe Fairclough standing in for Fiona as caller as she had a prior engagement. 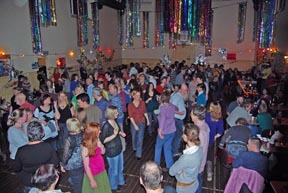 The combination of Joe and an enthusiastic crowd created a great evenings dancing. We finished the month with a fund raiser for Heversham church, held in a barn at Park House Farm in Heversham. Normally we are not very keen on playing in barns as the dust can cause problems with our instruments and equipment, and this barn was no exception, but the compensating factor was the fact that the barn is one of the best examples of a cruck barn in the area. All in all a good evening, and our thanks go to Annie Robinson and her team for making us welcome. Two weddings, a retirement party, and a 60th birthday party saw the band playing at typical bookings over the past 2 months. Both weddings were at the Castle Green Hotel in Kendal, which has the advantage of two different rooms available depending on the size of the function. Jenny's wedding was in the larger room downstairs, with David's wedding upstairs in the Kendal suite. 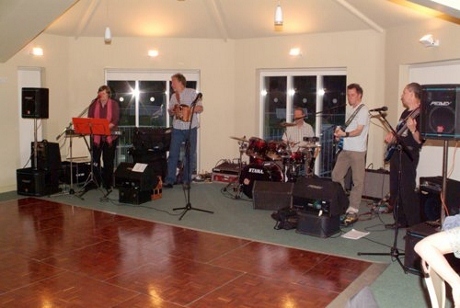 In 2003, we played for a doctors retirement at Bentham Golf Club. The doctor belonged to the local GP practice, and we were booked to play by a lovely lady called Jane Burnett. In March this year, it was the turn of Jane herself to retire, and she booked us to play at Hornby Institute. A great evening and a joy to help Jane celebrate the end of her working life. For the past few years we have played at the Glaramara Centre in Borrowdale for the Innominata MC Christmas dinner and ceilidh. The person who books us, Dave Checkley, was 60 this year, and he decided to book us for his party at the Dalesbridge Centre near Clapham. a great evening in a cosy establishment. Great for caving, climbing, or walking in the day and partying at night. We rounded off the month with our, by now, annual music and walking weekend at High House in Borrowdale. This must surely be the best bunkhouse in the Lakes, and an ideal venue for walking in the day ( and getting wet!) and playing and singing in the evening.